George Baselitz is a German painter who studied in the former East Germany, before moving to what was then the country of West6 Germany. Baselitz's style is interpreted by the Northern Ame4rican as Neo-Expressionist, but from a European perspective, it is more seen as postmodern. His career was kick-started in the 1960's after police action against one of his paintings, because of its provocative, offending sexual nature. 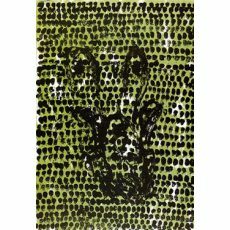 In the 1970's George Baselitz was part of a group of Neo-ExpressionistsGerman artists, occasionally identified as "Neue Wilden," focusing on deformation, the power of subject and the vibrancy of the colors. He became famous for his upside-down images, he is seen as a revolutionary painter as he draws the viewer's attention to his works by making them think and sparking their interest. The subjects of the paintings don't seem to be as significant as the work's visual insight. 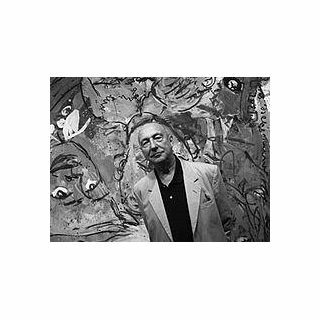 Throughout his career, Baselitz has varied his style, rnaging from layering substances to his style, since the 1990's, which focuses more on lucidity and smooth changes. Baselitzis one of the world's best-selling living artists. He is a professor at the renowned Hochschule de Kunste in Berlin.